Over the past few months I have been travelling in and out of Asia frequently. A key topic of discussion with some of my clients has been �the war for talent�, the term coined by McKinsey & Co in 1997. I think that there is a war for talent in the developed countries; but this is not the case for the emerging economies such as Indonesia, India, Vietnam, Malaysia and China. How can there be a lack of talent in these countries, when for example India has more than 65% of its population below the age of 35 and with a population greater than 1.2 billion no less? Indonesia is another example, where nearly half of the total population is under the age of 30. Now, I concur that talent development in emerging market economies is a multi-layered and complex process; but surely these well-populated countries should have an ample pool of potential talent? These markets require a greater focus in terms of how talent is identified and how it is leveraged. Talent programs and succession planning need to be more creative, innovative and holistic in these economies. As emerging economies have experienced rapid expansion they are now coming up against succession planning challenges that are demanding the attention that they deserve. Organisations working in these markets need to take stock and focus on the long-term goals and changing business models by investing in human capital to ensure their competitive advantages. 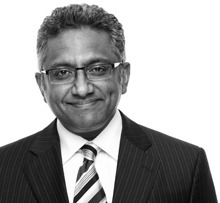 How does one �prime� the talent pipelines? Leadership in India has different characteristics to leadership in China or Malaysia. There is no �one size fits all�. Talent development programs need to include culture specific components. Human Resources need to be placed as a higher priority than it has been in the past. For example values, biases and motivations vary across cultures; therefore directly impacting engagement, incentives, interpretations of competency and expectations. Next month we will discuss the Cultural Intelligence Matrix that will provide a deeper analysis in the development of culturally intelligent leaders. The message here reads loud and clear - �Culture eats strategy for lunch�. National culture has a powerful, often invisible impact on the success of global companies and if overlooked will be a derailer in the growth and success of organisations. So often management is blind to its own culture that over time the blindness leads to under performance and failure. Samsung, Toyota and Nokia are some of the organisations that Hammerich and Lewis focus on. What pivotal role did national heritage play in these companies? How have these organisations managed to adapt their global business philosophies that are deeply rooted in their cultures? What has been their competitive differentiation? There is a great chapter on the key nation-state traits, historical background and the potential advantages/disadvantages of the nation-state traits. The models and case studies offer great discussions and perspectives around how these traits can be enablers and derailers. 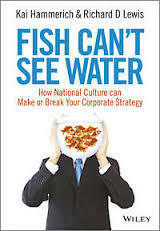 �Fish Can�t See Water: How National Culture Can Make or Break Your Corporate Strategy.� By Kai Hammerich & Richard D. Lewis (2013).